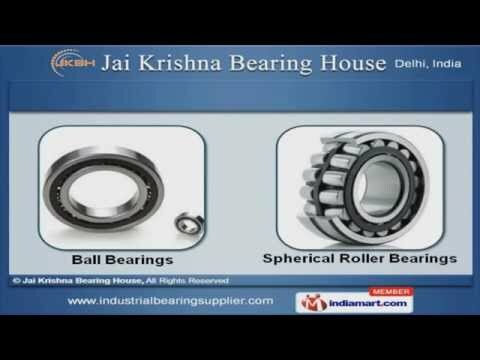 Welcome to Jai Krishna Bearing House, Manufacturer & Supplier of Industrial Bearing Products. The company was incepted in the year 2004. An ISO certified company. we provide brand likeZKL, URB, IKO, INA & other, export to Europe, middle east, asia & other Countries. On time delivery, spacious warehousing & packaging facility, under experienced professionals are the key features of our company. We provides you precision Bearings & Bearing Greases at competitive prices Ball Bearings & Spherical Roller Bearings are one of the best quality productAlong with Cylindrical Bearing & Tapered Roller Bearings are best in the industry amongst othersAt Same time we provide you Needle Roller Bearings & Pillow Block Bearing Thrust Bearing & Angular Contact Bearing products also available. We have one of the best Bearing Dealers-skf.